01 December 1943: Keel laid by the Bethlehem-Hingham Shipyard, Hingham, Mass. 64k Charles Jack Kimmel was born in Rushsylvania, Ohio, on 02 July 1918. 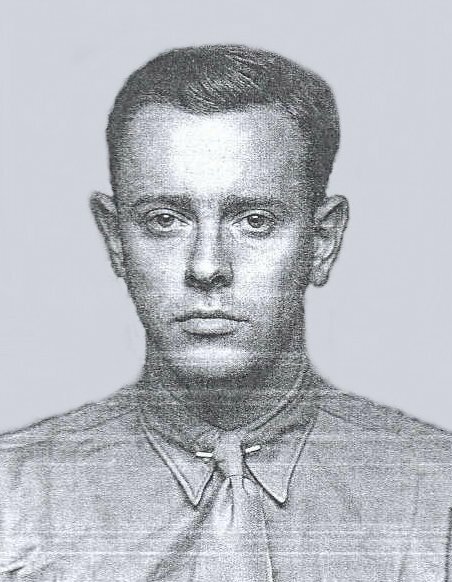 He graduated from Ohio State University prior to his enlistment in the Marine Corps on 29 October 1941. He was commissioned as a Second Lieutenant 31 January 1942 upon completion of Reserve Officer’s training at U.S. Marine Barracks, Quantico, Virginia. His division embarked aboard the USS Wakefield at 1st Base Depot, Norfolk, Virginia and sailed on 20 May bound for the Pacific Theater. 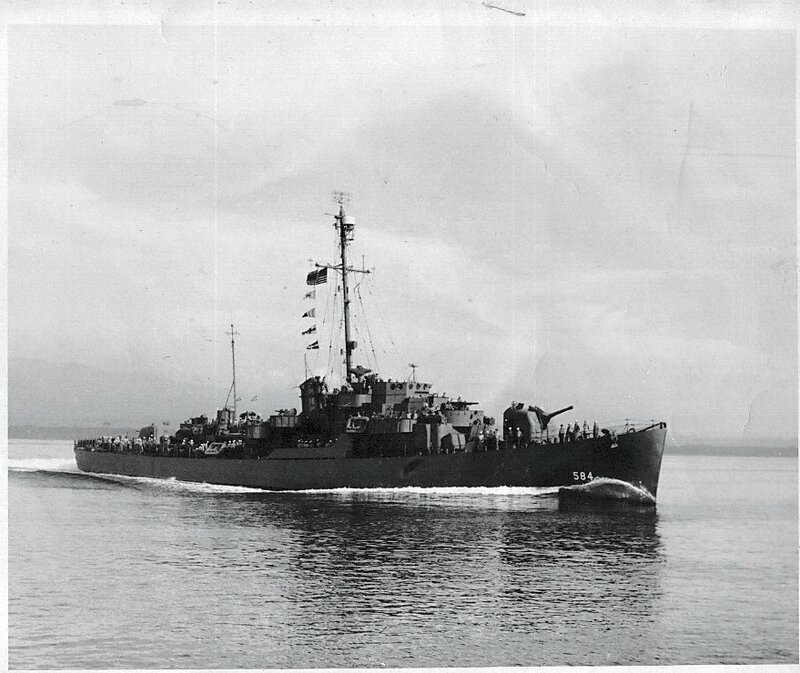 The USS Wakefield arrived at Wellington, New Zealand 14 June 1942 and his unit disembarked on the 19th. On 02 July 1942 "I" Company embarked aboard the USS Fuller sailing on 22 July to Suva, Fiji. He landed on Guadalcanal with Company "I", 3rd Battalion, 5th Marines, First Marine Division on 07 August 1942. He was killed in action near the bloody Matanikau River on Guadalcanal 02 November 1942 while leading his platoon in a bayonet charge. His superb courage in this hand-to-hand combat won recognition with 2nd Lt. Charles J. Kimmel being the awarded the Navy Cross posthumously. His other awards include the Purple Heart; Presidential Unit Citation Ribbon Bar with one bronze star; American Defense Service Medal; Asiatic-Pacific Campaign Medal; and World War II Victory Medal. He was appointed to the temporary grade of First Lieutenant by an Act of Congress on 31 October 1942. View the USS Charles J. Kimmel (DE 584) DANFS history entry located on the Naval History and Heritage Command web site. View the official War History of USS Charles J. Kimmel as submitted by the ship at war's end.